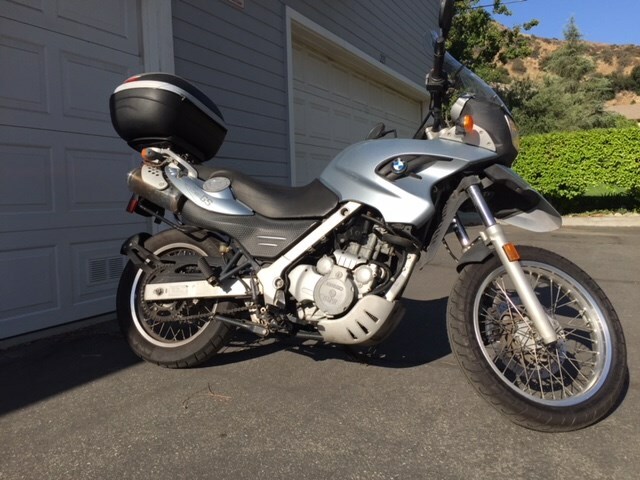 I have a 2005 BMW GS-650 with low miles, about 31,000. this bike is in good condition ready to ride anywhere. It comes with a hard luggage bag that can hold your helmet, coat, and more at the same time and bracket. Also, it has a custom seat, but I also have the original seat as well. Hello, I'm interested in your 2005 ABS. Hello, I'm interested in making an offer on your 2005 ABS. Hello, I'm interested in trading in my bike for your 2005 ABS. Hello, I'm interested in taking your 2005 ABS for a test ride.